family progresses as a harmonious unit. member. 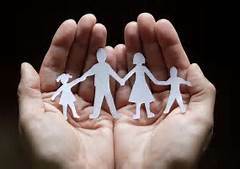 Alternately, it may address the needs of the family when one family member suffers from a mental or physical illness that alters his or her behavior or habits in negative ways. suffers from alcoholism or drug addiction might not attend sessions, and might actually be the reason why other family members seek out counseling. Part of the goal of the therapist is to observe interactions between family members. Another part is to observe the perception of non-interacting family members. Thus if two family members get into an argument in a session, the therapist might want to know how the other family members are dealing with the disagreement or the way in which the two fighting members comport themselves. Observations may also be used to point out how poor communication, especially when particularly filled with strife, affects the behavior and happiness of children. Children benefit from the safe forum of a session. They may get to for discuss the things they don’t like about behavior of caregivers and/or siblings. Such discussion might not be permitted in the home setting. As in group counseling, the therapist also acts as moderator in family counseling. He or she attempts to ensure that each family member gets fair time for expressing concerns and contributing to the conversation as to how the family can do better. Sometimes the therapist may identify one or more family members who need more than the counseling model, and might benefit from individual therapy. The personal issues of one member of a family may affect all other family members.